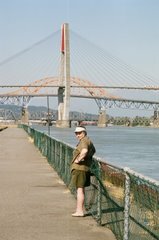 Wanderin' Weeta (With Waterfowl and Weeds): Cat's tongues, Electrified tails, and Oregon hat decor. Cat's tongues, Electrified tails, and Oregon hat decor. It's a while since I've seen cat's tongue fungus, and never more than one at a time. This week, on the Canyonview trail, there were many, mostly on the back side of mossy logs. 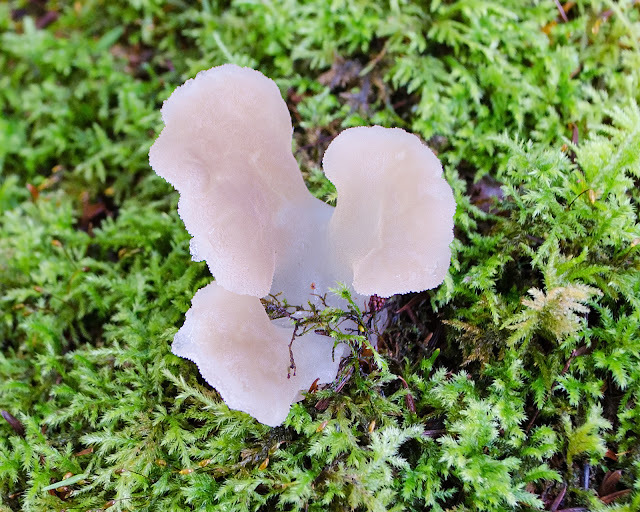 Cat's tongue, Pseudohydnum gelatinosum. 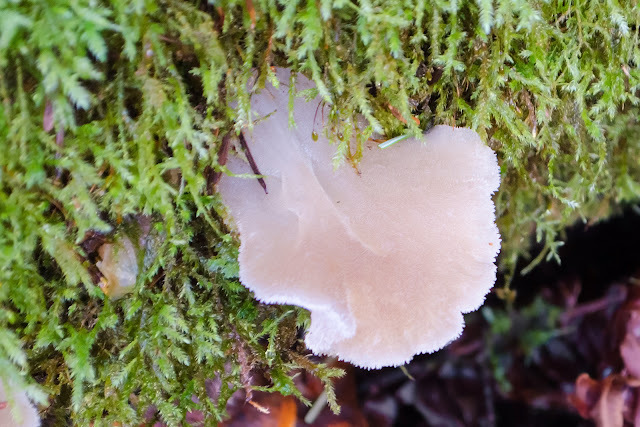 AKA quivering spine fungus, white tooth jelly, etc. The moss, I think, is Electrified Cat's tail. To go with the tongues. On another log. I like the delicate scalloped edges. The stalk often extends to the side, towards the woody base. 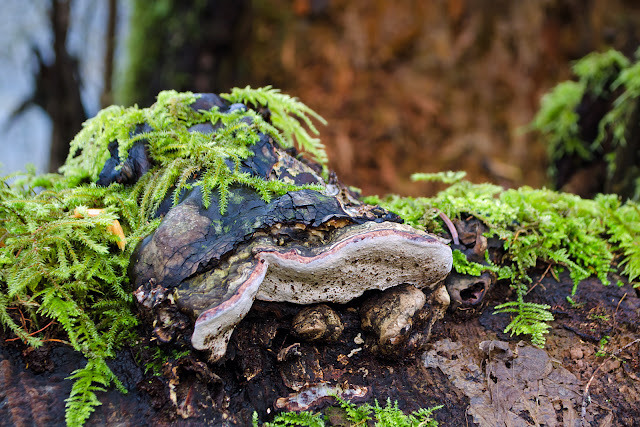 Red-belted polypore, Fromitopsis pinicola, wearing a hat decorated with Oregon beaked moss. 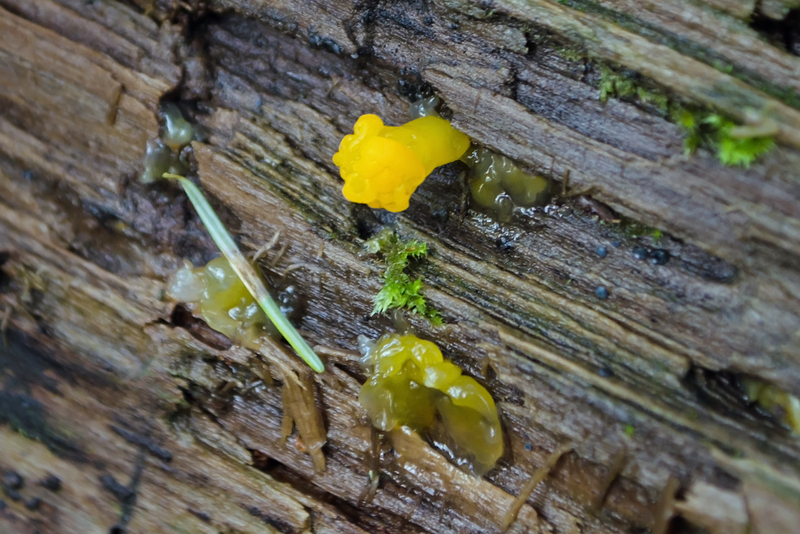 Orange jelly, on a very wet log. It hadn't been raining, but this forest is very damp, and takes days of sunshine to dry out. Note the tiny, dark blue buttons; probably early lichen settlers.